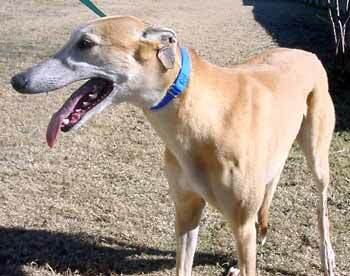 Holly, aka AZ Glazed Butter, is a beautiful four-year-old fawn girl with a white face. 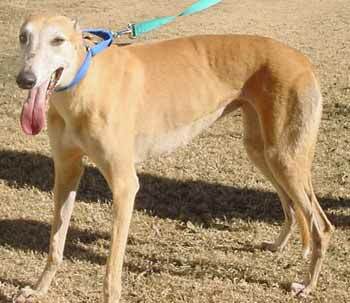 Holly is sister to Max, and has that same sweet, laid back, calm personality. Holly raced at Daytona Beach from November 1999 until her retirement in September 2001. She was a steady, dependable A racer. Her Grand Sires were Wigwam Wag and Tipp Lad*, top racers of their times. Holly has been quite a competitor, and it is now time for her to find her forever couch. The family who adopts her will be the lucky ones for sure!